Cronicl yr Awen: A Negative Arthur? There are a number of interesting things about this as a poem, the ambiguous phrase ‘waste of thought’, the imagery of the cold shadow of the pterodactyl’s wing , the metaphors employed in the references to Arthur. But the thing which is most striking about it from the outset (‘We’ve nothing …’) is its negativity. The general sense of absence is compounded by the stinging rebuke of the final line. Just at the point where it does strike a positive note (‘the bright ore’) the metaphor changes and the poem is brought to a devastating conclusion. This is in line with many other statements by this poet about Wales, and indeed about his religion. He worshipped an ‘absent God’ and nailed questions to ‘an untenanted cross’. Theologically this is often explained by the absence of God defining the need for his presence. Could the same be said about national identity? 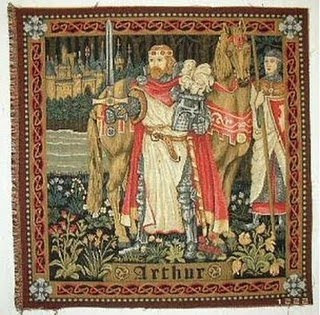 If Arthur, the ‘once and future king’ can be adapted out of the legendary history of post-Roman Britain into a lost leader who has no grave because he only sleeps to rise again in the hour of need; and if such a story can survive the Middle Ages and persist, even if only as an ironic denial, is this in itself an affirmation of its potency? nationalistic kings with messianic overtones gaurding lineage with impunity, have always been the product of ironic response. OT Scholarly consensus now posit Genesis 1 creation account to be writ during the context of exile; thus a critique of the sole king having divine status via an inverted account of the divine image to be democratized. The last line is especially ironic. King Christ got up early, before all others; this is in the vein of prophets, who also got up early (Jer. 35.15; Jer. 7.13). Real Messiah's get up early. Sleeping late is what secure kings do; like David. Right before the incident with Bathsheba, teh narrator gives the reader a subtle hint into the disposition of David, where he is sleeping in late (all while a war is going on). This poem is lifted by that biting, 18th century last line. 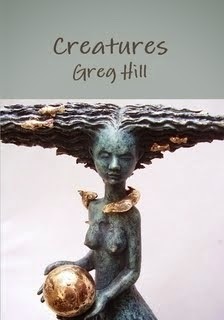 Might it be in part an affirmation of the potency of the motif of the returning hero? The same story is told of Owain Glyndwr. Elissa Henken has written about it in 'National Redeemer: Owain Glyndwr in Welsh Tradition'. She calls the motif that of the 'redeemer-hero'. But of course there are other aspects of the story of Arthur that make it especially attractive (The island of apples appeals to me! )It's accrued a lot of potent symbols. Yes M of S, though you see more in the poems subtext than I had perceived. But R.S.Th was a priest, so I Biblical references would no doubt have been on his mind. Bo, 'six basic poems fifty times each' - I see know you mean, though I suppose his fans would speak rather of variations on a theme! Hilaire, I think all that lies behind the presentation of Arthur, but I think he just takes that for granted in order to be ironic.But yes, sometimes a negative posture can be affirmative too. As if he is saying, 'come on you useless lot - you CAN bring him back'.